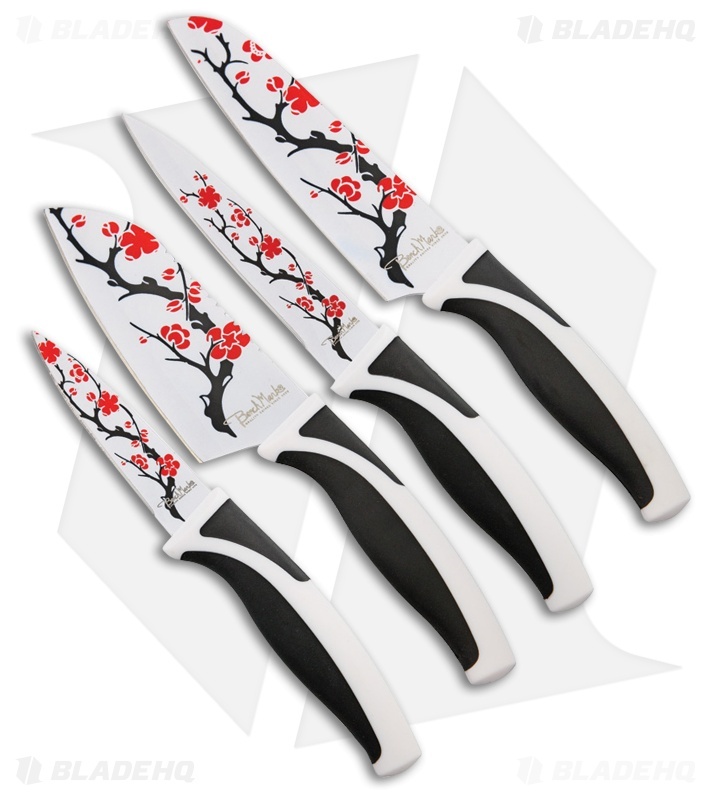 A distinctly Oriental feel of Benchmarks Cherry Blossom 4-Piece Kitchen set, has the tools any functional kitchen needs. Stainless steel blades feature a simple but pleasing black and red Cherry Blossom motif and balanced black and white polymer handles to balance your feng shui. Includes a full sized Chef's, Santoku, Utility and Paring knives. To maintain the vibrant colors, hand washing is recommended.